Liberty Township trustees are asking for a written response from the Delaware County Board of Commissioners regarding a 10-year, $10 million, proposal to fund the township’s fire department emergency medical services (EMS). Trustees Melanie Leneghan, board chair, and Michael Gemperline approved the action Monday during a special trustee meeting — Trustee Shyra Eichhorn was absent from the meeting. Leneghan and Gemperline, in the Feb. 19 meeting, voted to approve a proposal requesting that Delaware County pay the township $1 million a year, in quarterly payments, over the length of the contract. Eichhorn voted no in sending the proposal to the county. “Whereas, Delaware County is obligated to provide emergency medical services to county residents, and whereas, Liberty Township residents currently pay for County provided services through the county sales tax. … therefore be it resolved by the board of trustees … to direct Delaware County to provide emergency medical services to the residents of Liberty Township and the City of Powell,” the resolution states. No action has yet been taken on the tabled resolution. During the Board of Commissioners Feb. 7 session, the Delaware County Pre-Hospitalization Care System Board was formed on the recommendation of an informal group of local first responder chiefs. “We appreciate the public sensitivity of this matter and hope that all the jurisdictions involved will support us in allowing the Pre-Hospital Care System Board to do the work it was created to do,” she said. 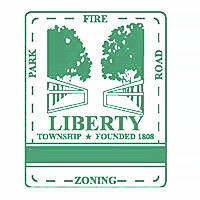 Liberty Township trustees then moved to approve a resolution authorizing an expenditure of $3,000 for private legal counsel to represent the township in a meeting with the City of Powell concerning the Cooperative Economic Development Agreement (CEDA). Since a law firm had not yet been chosen, a blank was left at the bottom of the resolution to fill in once a firm was hired. Leneghan told Matt Huffman, the township administrator, that she would be fine with someone that had previously represented the township and asked him to make a call the following day. Both Leneghan and Gemperline voted to approve the expenditure. The Delaware County Prosecutor’s Office did return a call for comment as The Gazette went to press. This entry was tagged $1 Million, Board of Commissioners, D. Anthony Botkin, delaware county, EMS, Liberty Township, Melanie Leneghan, Michael Gemperline, proposal, Trustees. Bookmark the permalink.